Warning! High collision area ahead, on the right left. And what is the left lane supposed to do? 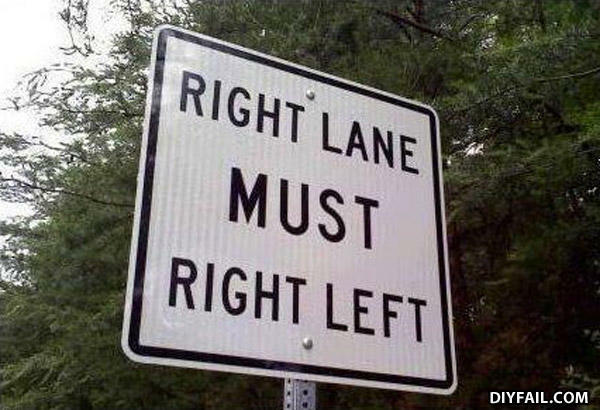 Go home, Sign, you're drunk!